The health of our oceans and waterways is critically important to the well-being of the global community. The Plastics Industry Association (PLASTICS) believes uncollected plastics do not belong in the marine environment. Plastics offer many sustainability advantages that can significantly reduce greenhouse gasses, water consumption and air emissions through a product’s lifecycle, promote resource efficiency, and prevent food waste. To realize their full sustainability potential, plastics should be recovered, for their highest and best use, and prevented from entering the environment, benefitting both ecosystems and economies. The plastics industry is committed to preventing and mitigating marine debris. 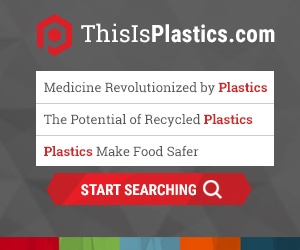 PLASTICS recognizes that marine debris is a global issue, and partners with other associations, non-governmental organizations and intergovernmental authorities to coordinate efforts to strengthen recovery systems around the globe and prevent the loss of any plastics, all of which are valuable, into the environment. PLASTICS believes that together, we can address this important challenge by supporting work in all of these areas, and engaging the entire plastics supply chain to increase awareness, leverage knowledge and maximize the impact of our efforts to combat marine debris.